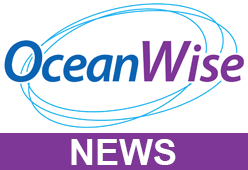 OceanWise is attending the 7th Session of the United Nations Committee of Experts on Global Geospatial Information Management (UN-GGIM) in New York on 31 July – 4 August. John Pepper, acting as Technical Adviser to the Secretary General of the International Hydrographic Organisation (IHO), will promote the role that marine geospatial information actively plays in addressing key global challenges such as ship navigation and safety, port and offshore infrastructure development, marine planning and conservation, coastal protection and management, tourism and recreation, search and rescue and maritime boundary delineation. The IHO supports the initiative to establish a specific body that will enable the level of global guidance, that UN-GGIM currently provides in the land geospatial information domain, to the maritime and marine domains and in doing so bring global land and sea interests closer together.